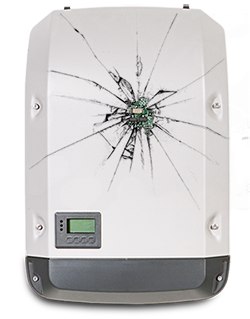 A broken inverter means that your investment isn't paying you back. Call us as soon as you notice that you aren't generating any solar energy. We can offer you a variety of replacement inverters and get it fitted as soon as possible. With our knowledge of solar PV systems and inverters we can guide you to an inverter that best suits your system. If you have a specific inverter in mind, we can get it for you. We offer what we consider the current best solution. We call it a SolarEdge upgrade. 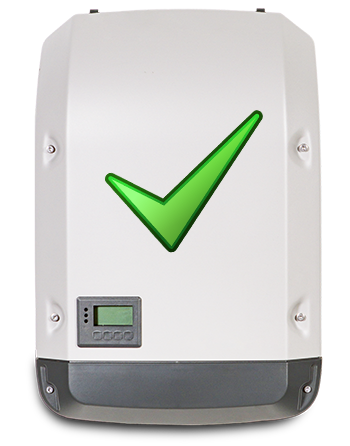 You receive a SolarEdge inverter, individual power optimisers for each panel and a 20 year warranty. That should give you useable renewable energy for the life of your Feed-in Tariff payments and beyond.